Frequently falsified facts from an unreported criminal. Ethnic puppets speaking our White President's officious sniveledge. A grand cross-ethnic mixer with only minor slavery. The Indian natives were more of a tribe. from the World War Two horrors of the evil Germany. and the numbers of dead are quite similar in breadth. 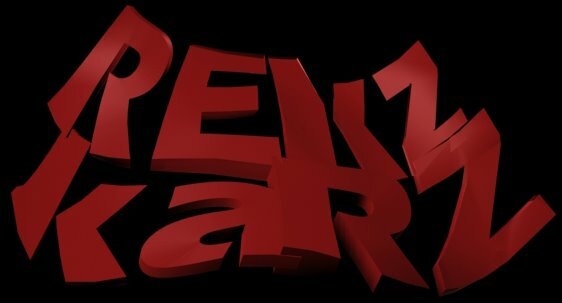 Killed by old cruelties now too horrible for repeating. A chance to own their homes and soe their fertile soils. Who of us can imagine greeting a New World so tragically? No matter this deliberate ignorance seems unsavory, unattractive, unwise. the unreported criminals are feasting on more stolen delicacies. The Fountain - 3rd viewing and it's still amazing! The power of the film visually is so great. It covered a lot of what I wished would be shown in SciFi fantasy -- deeply positive visioning for the human experience. People, can we focus less on ego and holding tightly to this reality and focus more on earth-positive values, de-weaponizing / de-militarizing the earth, and embracing multi-cultural viewpoints? Oh, and also allow people to die and rejoin the earth for awhile ... until they are reborn in new forms. Core concepts in this film were so strong. America is still spiritually so young that culturally we haven't learned to look at things like mortality or the balances of life and death in a healthy 'earth-positive' way... I'm grateful for this beautiful adventure around this most powerful of subjects. The movie 'Starship Troopers' was hilarious IMO -- social satire and action film. It had the humor of looking at itself not as a flat 'space combat' film, but as more of a genre-challenging film. The standout fact for me was that the humans are just as vicious as the bugs in this film ... if not more. And the director pointed this out by the Nazi uniforms and the sheer disregard for alien life. Now that I've read the book, I give HUGE PROPS to the screenwriters on this film! 90% of the film they came up with except for a few names, humans fighting space bugs, and the concept of a space army. 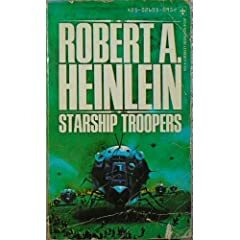 Now to Heinlein's book 'Starship Troopers', which I just finished today. Anyway, that's about it. I can't recommend this book, because there's not much in it other than a framework for something that could be a good story. For a sci-fi junkie like myself, Starship Troopers the book doesn't cut it at all. The movie, on the other hand, is a solid viewing for any sci fi fan!